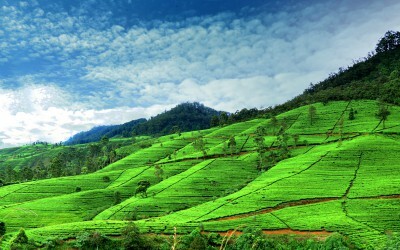 Is a 4 Km trek up the Elephant rock through bush with birds and monkeys for company to reach the summit and enjoy a panoramic view of the town and the plantations around. The tired traveller could go by car or Tuk Tuk. 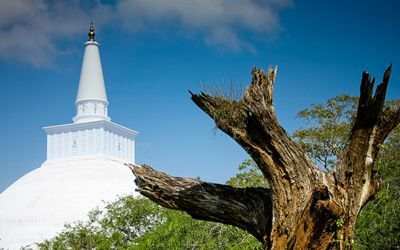 When you are in Kurunegala you could make day trips to many places of interest in the vicinity.Trust our hotel staff to give you free advice and arrange travel to these locations at the cheapest possible cost and convenience. 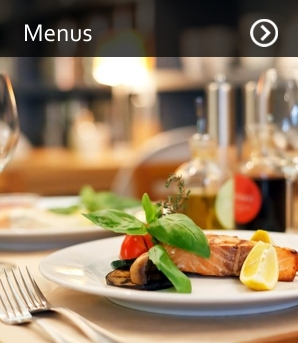 When you are in Viveka, you are not just a Visa Card but, an honoured guest, who has blindly entrusted us to take good care of you. We do just that. 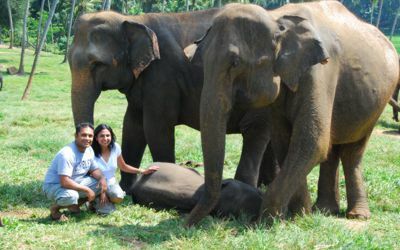 Started in 1975 by the Dept of Wild Life to care for the orphaned Baby elephants is one of its kind in the world. 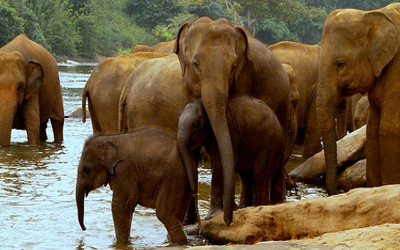 Now has over 100 , many not so babysh elephants in a sanctuary near a river. 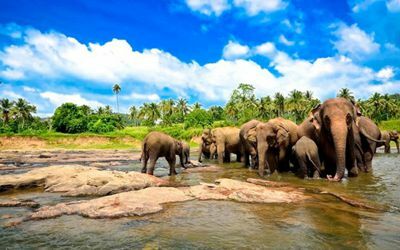 The only place where you could see so many elephants at close range. 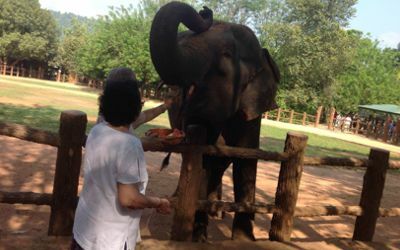 You get a chance to hand feed the elephants and also to watch them at play while they have a bath in the near by river. Fully worth a visit. The temple within the Royal Palace complex dates back to the 16th century. The complex is now documented as one of the worlds 80 treasures. The beautiful Kandy lake right in front was built at a later period by the last king Sri Vikrama Rajasinghe in 1807. While in Kandy, in addition to many other places of interest, a visit to the Royal botanical Gardens in Peradeniya is a must. 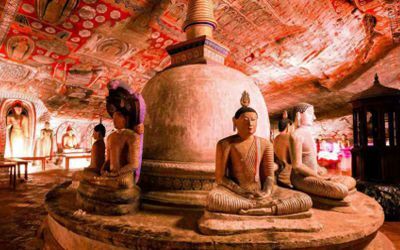 This World Heritage site is a cave temple complex, a part of a cluster of caves in the wider area. 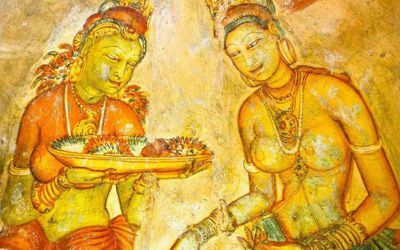 The major attraction is 5 deep caves with 153 Buddha statues, 3 of Sri Lankan kings and 4 of gods and goddesses, not forgetting the paintings on the walls. 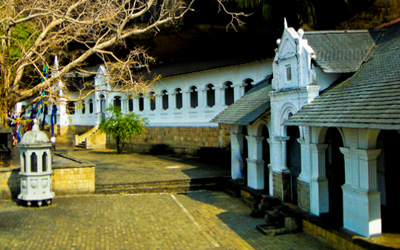 King Valagambahu is credited with the transformation of these caves into temples in the first century BC. Another World Heritage site, built by King Kashyapa ( 477-495 AD ) as a fortress and a castle at the top of a steep rock to protect himself. The ruins of the self contained fortress, the palace and the paintings of the damsels on the rock surface bears witness to the ingenuity of the ancient builders and artists. Climbing that rock is a challenge which is not a feat for the fainthearted. 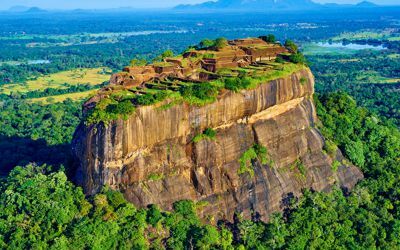 If you do, you are rewarded with a breath taking view of a wide area and the ruins of King Kashyapas castle at the summit and you would wonder how the ancient Sinhalese made such a majestic building on top of a steep rock without the aid of modern day machinery. 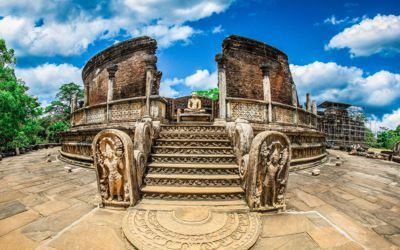 A UNESCO World Heritage Site in the North Central Province , the capital of Sri Lanka from 4th Century BC to 11th Century AD is famous for its well preserved ruins of ancient Sri Lanka. 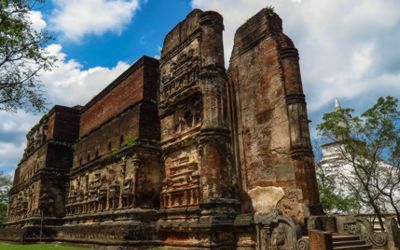 Held sacred to the Buddhist world, today it is surrounded by monasteries covering an area of 16 Sq miles. 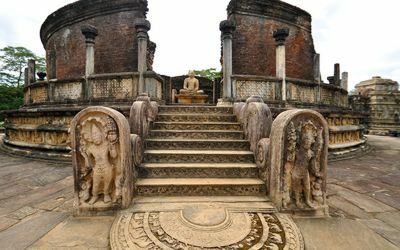 A World Heritage site, of the 12th Century and second most ancient kingdom.Ruins could be seen over many square miles.Biggest man made lake “ Parakrama Samudra” meaning “Sea of Parakrama”named after King Parakramabahu, to whom that Golden Age belonged, is in Polonnaruwa. Another draw card is the “toque macaques”. These monkeys have lived in these ruins since human occupation. The Dysney Nature film “ Monkey Kingdom”was filmed in 2015 on location there.